Not every university offers its faculty members the opportunity to explore the role of the arts within the context of modern day society. But Carnegie Mellon University isn’t your average institute of higher education. Through its Center for the Arts in Society (CAS), artists and scholars are tasked with examining the convergence of art and culture against the backdrop of an interdisciplinary 3-year initiative format. Whether it be courses, visiting artists and scholars, or events, CAS brings a depth to CMU’s College of Fine Arts and its Dietrich College of Humanities and Social Sciences that percolates down to the students and community at large. For today’s Spotlight Q&A, we chat with the Director of the CAS research center, James Duesing. An animator and video artist by trade and a faculty member at CMU for two decades, Duesing has keenly kept one foot in the world of teaching and the other in the world of animation. His own work extends to multiple types of the craft and has earned considerable accolades and interest internationally. We were eager to learn more about CAS, as well as pick Duesing’s brain on how art and technology continue to converge. We hope you enjoy. ACR: James, first thank you kindly for taking the time to participate in this Q&A. 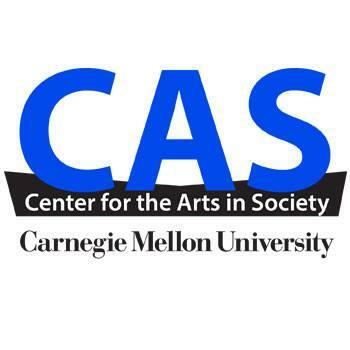 What were the origins of Carnegie Mellon’s Center for the Arts in Society (CAS) and what attracted you to oversee the program as Director after many years teaching at CMU? James Duesing: The Center for the Arts in Society is a faculty research center at Carnegie Mellon. It is a collaborative effort of artists and scholars affiliated with the College of Fine Arts and the Dietrich College of Humanities and Social Sciences. CAS began in 2000 with a grant from the A. W. Mellon foundation and I have been involved with it from its initial formation. I still teach one class a semester on animation production or animation history. Since getting my MFA, I have always maintained some type of engagement with different arts or media organizations. For me it is a social thing- I think as an animator it is easy to just sit in a room and stare at a screen all day. CMU has offered me opportunities to engage with centers in different ways while still being active in my field. ACR: CAS includes an interdisciplinary roster of CMU scholars and artists from the Fine Arts, Humanities, and Social Sciences that work together on 3-year initiatives. Tell readers a little about these research projects. JD: Every three years CAS reinvents itself with a new themed initiative. The initiatives each have two coordinators- one from the arts and one from the humanities and social sciences. We have a call to fund three faculty projects that will each span the three-year initiative. The projects selected must have interdisciplinary arts and humanities components, and they need to develop the initiative theme in a specific way while considering community engagement. Individual faculty or a team of faculty can lead the projects. Their goal is to be productive. They should produce knowledge in the form of events, media work, publications or community actions. We have an advisory board of faculty and administrators who meet with the project leaders every six weeks to discuss progress and next steps. When we bring in visiting speakers, in addition to a public talk, they frequently conduct workshops with faculty and members of the community. In a workshop, the visitor presents a topic or work in progress and leads a discussion around it. We have also had workshops on interdisciplinary teaching. I try to create as many opportunities as possible for people to connect across fields and disciplines and have jokingly said that my goal is to have every member of the university faculty, at some point, sit at the table in the conference room because there is an activity or topic that interests them. ACR: What is the current CAS research initiative, and how was it determined? JD: The current initiative is ‘Narrative’ with two faculty coordinators: Rich Pell, an artist who develops non-fiction narrative projects, and Felipe Gomez, a faculty member in Modern Languages whose research involves Latin American cinema and comics. Narrative was determined because a large number of fields engage in some type of storytelling. It seemed there were many possibilities for how a project might engage communities to explore stories or reveal something that has been untold. I have also been interested in experimenting with ways stories are told through animation. There proved to be a great deal of interest in the idea of narrative and the theme generated more proposals for projects from faculty across many schools in the university than the previous initiatives, so we are looking forward to a rousing next three years. ACR: Do CMU students participate in the initiatives? ACR: The topic of art within American society is something that’s seen a great deal of discussion lately amidst a highly politicized backdrop. What do you make of this juncture in terms of not only arts funding but the role art plays within our democracy? JD: This is such a big question and difficult to do justice to in any brief way, partly because there are so many art worlds. There is the high-end retail art world where gallerists launch campaigns to promote the idea that certain contemporary art is a blue chip investment to Wall Street bankers and museum board members. There is also the most expensive publicly funded art project ever undertaken. It was initiated when George W Bush began the second gulf war based on the false claims of weapons of mass destruction. It expanded to military actions in Afghanistan, costing trillions of dollars and thousands of lives while destabilizing the middle east. While the public costs and bodies continue to pile up, for his part George W Bush is concluding the project by making paintings of wounded military that convey a complete blankness to price and treachery that embody his art practice. There is also the kind of art the NEA funds that focuses on communities and gives voice to views or aesthetics that are vital but unrepresented in the commercial mainstream. Of the three examples I have given, the NEA seems the most critical in developing and maintaining a creative and empathetic population that understands equality for everyone who lives in the American experiment. ACR: There has always been a balancing act that artists and their patrons play with regards to aligning the needs of the artist’s creative voice with the needs of their economic survival. Does this remain the age-old conundrum for the artist? JD: The best artists make work that reflects the culture in which they live, so work always changes because the situation where it is made and how it is made changes. Our current era is one of much faster responses and easier access to media, but that has also created a lot more noise and difficulty to get exposure for an individual without a publicity machine behind them. At the same time, people with idiosyncratic ideas have historically been marginalized; sometimes there is a cultural moment where those ideas enter the mainstream, sometimes not. The idea of patrons or patronage in a traditional sense has never played a big role in my work. I usually use small pieces of support to construct a larger budget. Developments like crowd-funding open up ways for artists to communicate directly with people who are interested in their work through the entire process from pre-production to distribution. It make those micro-supporters feel some ownership in the project and creates an audience before the project is finished. ACR: I want to turn to virtual reality for a moment, James. What are your thoughts on VR as far as the impact it can have on society? JD: I have been thinking, reading and writing potential scripts for a VR project for the past year, but prefer the term ‘immersive media’ since it encompasses a variety of forms including media and theatrical; it doesn’t conjure up images of wearing headphones over heavy head mounts that are tethered to a computer. For Immersive Media’s impact on society, optimistically, I hope it will be a source for complex experiences that will allow many voices to be engaging and humorous about their experiences and fantasies. Pessimistically, I fear it will allow the development of more involved first person shooter experiences that cultivate new forms of real world road rage, or elite levels of entitled avatars with virtual shopping carts in simulated farms that are actually robot run GMO food warehouses, connected to delivery drones. ACR: And what are the challenges associated with it that limit its widespread adoption currently? JD: In terms of challenges, the biggest is conceptualizing narratives that engages the viewer in an experience that has depth more like cinema, yet is interactive and fully resolved as an environment. Some inroads and hints at the future have been made but we aren’t there yet. There is still mostly a primary focus in every scene, and not much else if you turn around. Hardware is developing but it still has limitations, and there is archiving for longevity to consider. As an individual artist choosing a format that will economically convey the experience for future viewers after a project has its initial exposure is a challenge- especially if a high percentage of the assets are generative. When I first started working in computer animation, I produced everything to 35mm, so that work was stable until dominant digital media formats emerged. Figuring out a stable future format for immersive work is still a question for me. ACR: Let’s turn to your background as an animator. How and when did you decide to pursue the craft? And what animators or other artists inspired you in your early years? JD: There was a moment in undergrad school when I was studying painting and writing and trying to figure out how to bring them together. I saw ‘The Street’ by Carolyn Leaf on a PBS show and it was clear that all the issues I had been struggling with were solved with a shift in media, or a merging of media. That event got me interested in the work done at the Film Board of Canada. I took a workshop with Carolyn Leaf, where the idea of considering how to use any tool to make things move was implanted. In many ways that idea of trying new ways to animate is what led me, at a fairly early point, to work with computers and early digital animation. I am not narrowly focused with influences I steal from everyone. Warner Brothers cartoons, independent animators, painters, writers, were some early influences- people like Sally Cruikshank, Robert Rauschenberg, Francis Bacon and Thomas Pynchon. I shouldn’t overlook architecture and design as well, since animation usually requires a good deal of consideration to the setting and in my work, the environment is frequently a character or impetus for the action. Frank Gerry and Ettore Sottsass are two that struck me early on as being particularly animated. ACR: You’ve worked in a variety of mediums, James. What is it like not only learning the technical skills necessary to work with them, but re-imagining your art with them? JD: Software has slowed down for the moment; at least Maya has been stable for the past 20 years. Early in my career my entire skill set lasted 5 years at a maximum. Having a stable software base has allowed me to explore the margins and additions to it. When I initially started working with computer animation, I was still working on a fairly long, hand drawn, project called Tugging the Worm. There was about a year overlap where I experimented with short, few second, computer generated pieces while also doing handwork. This was in the mid 1980’s and I became committed to exploring desktop computing as an egalitarian tool, but there was so little memory in the computer it could only hold two frames at a time. Having animated frame by frame really made it possible for me to know how much movement was necessary for the motion to work. Initially with my first two longer computer animations (Maxwell’s Demon and Law of Averages) I felt like I had to invent a new production process at the start of each project. ACR: Do you know ahead of time which medium you intend to use when you’re considering a particular idea or project? JD: When I develop an idea, I never think about how I am going to make it. I just think about what I want to say. My training was really traditional, so a treatment, a script, character designs, a storyboard all come before production and I haven’t changed that even in the more recent more abstract work. By the time I go into production I have developed ideas for how something might be made or what tools to experiment with, but they don’t drive the initial ideas. My challenge is to make it seem like it is coming out of my head the moment the viewer sees it. The term ‘maker’ gets thrown around a lot and I am a bit too sarcastic to embrace it, but figuring out new processes to realize animation that doesn’t look like what has been done before or like what someone else is doing, is important to me. If I was only interested in what characters were doing and saying, that kind of animation could quickly be done with 2D software. Developing how something looks and a unique experience of watching it is part of a creative process that I have committed to. I used to think of data as a solid thing but because I have a more comfortable understanding of the fluidity of data, particularly motion capture data, I have started to assume that I will be able to capture motion and shape it as needed. Lately that has moved toward abstraction and the blending of full body with facial capture data, but any ‘reimagining’ has been an organic process. ACR: Your animated environments and characters were described by one reviewer as a ‘surreal and unnerving world’. Is that a fair assessment? JD: I know people call out my work as being surreal, but it is not that different from a lot of traditional animation. I have drawn inspiration by rejecting some established ideas about animation and then introducing situations that are a bit more real than most animations address. If you saw Bugs Bunny for the first time, would your immediate impression be that it was a rabbit? One of the things I have rejected is the idea of cute character proportions that Felix the Cat introduced over a hundred years ago. I only use those proportions for purposes of satire. To me those character proportions, which still dominate much animation today, are the same as trying to paint like Monet or Van Gogh. They were vital in their moment, but it is an antique of a bygone era now. I think the environment should be anamorphic and character traits should be exaggerated, shrunken or eliminated depending on who they are in the environment. Tweaking the way characters look so they aren’t exactly what people are used to, while exploring situations that are humorous but have social and political overtones gives an otherness to the work. Because it takes so long to make a project, it can’t be topical, so I use personal and political situations but pull the topical qualities out so the piece does not seem like yesterday’s news when it is completed. ACR: Beyond specific skill-sets related to digital art, what attributes have been the most integral to your success as a thriving artist? JD: This is going to sound mundane, but the ability to see what it will take to make a project, then reflect that in a budget, raise the money and then stick to the budget is a critical skill. Staying creative, but understanding there is a cost associated with every aspect of the production is something that I only grasped after school. ACR: The artist has arguably become the technologist. This makes multi-disciplined thinkers even more imperative than before. From an educator’s perspective, what advice would you give to a young student eager to explore digital or media art? JD: Young people have such an advantage because they can make work so quickly, see the results and evaluate it. I think people should go deep and explore a tool or a variety of related tools, but it all starts with an idea. Being able to see work so much faster means they have the ability to make mistakes and develop a voice. Technologies for making animation have been around long enough that homogenous forgettable work is everywhere. Similarly, work that seemed compelling a few years ago, because it used new technology, can look ridiculously vapid if the idea was so thin. Knowing the history of the field means you are not replicating what other have done from lack of exposure. At the same time knowing how to be fluid with technology means you can change as the tech changes. None of the technical material I learned in school has any relevance today, but I still use the conceptual tools I learned on a daily basis. For me the most important lesson is that while you need to know your tools, they will change; the ability to conceptualize projects and how to execute them has great value. To learn more about CMU’s Center for the Arts in Society, check out the CAS website or Facebook Page.